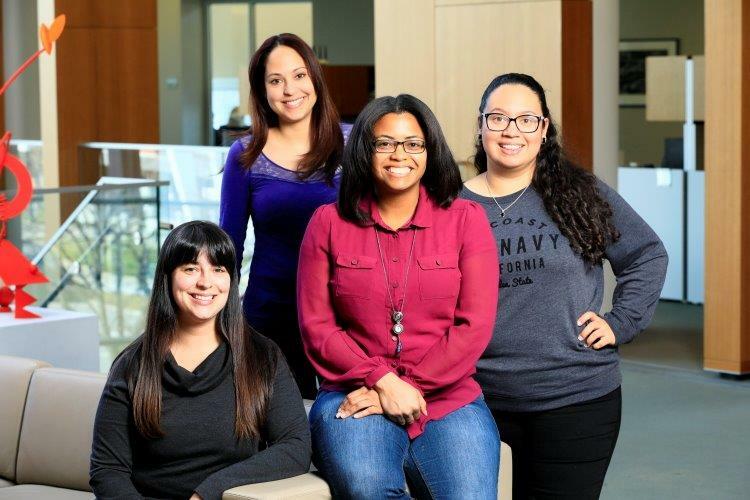 A National Science Foundation (NSF) center obtained funding for relocation and placement of four University of Puerto Rico doctoral students and their families to continue their work at Buffalo-based Hauptman-Woodward Medical Research Institute (HWI), while their community rebuilds. BioXFEL Science and Technology Center, a National Science Foundation supported group, previously announced the major progress in its Puerto Rico Assistance Program. The program was designed to provide relief for University of Puerto Rico (UPR) student researchers affected by Hurricane Maria – the Category 5 storm that tore through the U.S. territory last September. HWI is the Department of Structural Biology for the University at Buffalo, the lead institution of the BioXFEL consortium that includes Arizona State University, University of Wisconsin-Milwaukee, Cornell University and Stanford University, among others. The graduate students relocated to Buffalo in February to restore and resume their studies and medical research projects, bringing their families for the four-month journey. The program offers them state-of-the art facilities and a brief respite while infrastructure at home in Puerto Rico is restored. BioXFEL selected the recipients based on an affiliation with the BioXFEL UPR Internship Program which provides mentorship, hands-on training and scholarships for UPR biochemistry and physics students. The NSF BioXFEL Center has been an official partner to the University of Puerto Rico since launching the internship program in 2014. “After seeing the devastation caused by Hurricane Maria, program priorities changed and we knew we had to act quickly to help our colleagues and friends. We moved fast to shift initiatives to focus on relief efforts and provide necessities,” said Dr. Edward Snell, principal investigator of BioXFEL and chief executive officer at HWI. Within one month, the BioXFEL consortium relocated five students to Stanford University to resume research at the prestigious SLAC National Accelerator Laboratory. This transfer, along with the accommodation of students to Buffalo’s HWI, allowed the students to continue key research projects that were underway in Puerto Rico. Projects that consisted of groundbreaking work largely focused on studying protein structures and looking at the role of proteins in diseases such as breast cancer. The four students and their families arrived in Buffalo earlier this year and will stay through May of 2018. A grant provided by the National Science Foundation helped to alleviate costs associated with their research. To support these students and future BioXFEL projects, donations can be made at https://hwi.buffalo.edu/dontaions-pages/donate/ or by calling 716.898.8636. Contributions help to provide seed money for new research projects as well as the continuation of educational training programs like the BioXFEL UPR Internship Program.